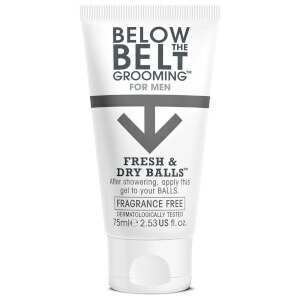 Stray fresh and comfortable with Below the Belt's Fresh & Dry Balls, a fragrance-free groin-area 'deodoriser'. 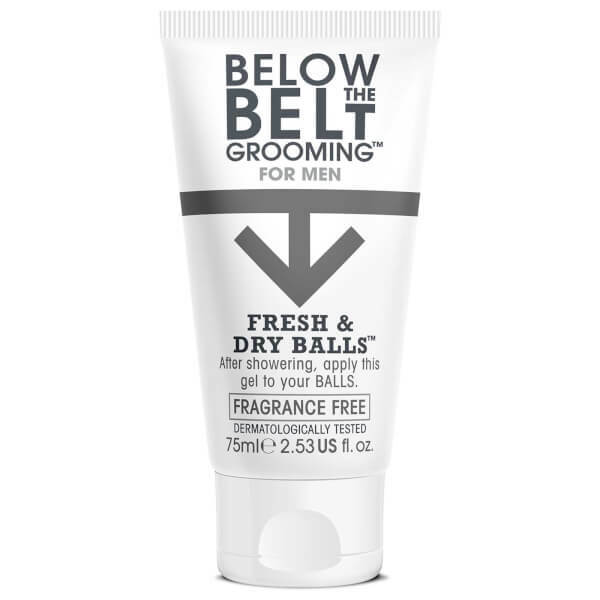 Working like any other antiperspirant, the formula helps to keep you fresh and dry down below, applying as a gel and drying into a silky veil that keeps your nether regions dry and comfortable for hours. Delivering long-lasting freshness, it's the perfect partner for long haul flights or relentless shifts in the office. Apply after showering to stay fresh and dry for up to eight hours. Works perfectly . Not exactly a massive problem for me but prevention better than cure.